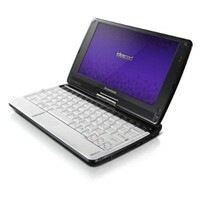 Lenovo IdeaPad S10-3T specifications, info. At $499 this is priced to compete with the T91, T1028, T101 and Viliv S10 but with only Windows 7 starter, users will have to upgrade to the high-end 1.8Ghz version with Windows Home Premium and 2GB RAM to get the best out of it. That's a $650 price-point. Specs are for base model. A 1.8Ghz, 2GB, Windows Home Premium Model is also available. Lenovo IdeaPad S10-3T news and review links.